If you have ever wandered through France and its Loire Valley countryside with its deep forests, laughing streams, charming historic villages and spectacular castles, this estate will remind you of these cherished peregrinations or simply make you dream. 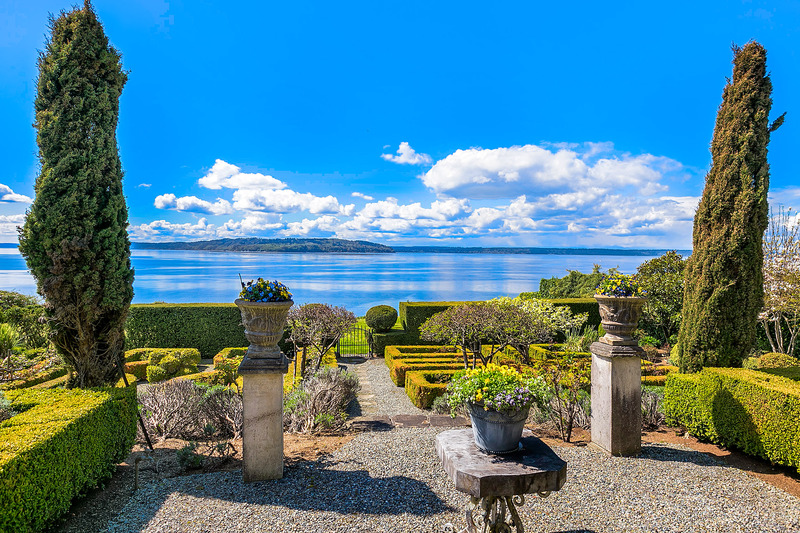 Built above Puget Sound with endless views of the shimmering water, the Olympics snowy summits and the wild islands across the channel, this 1937 fairy tale estate will transport you in a different time and place. Open the wrought-iron lion gate, follow the tree lined-driveway along lush gardens, espalier apple trees and discover this delightful manor surrounded by stone patios, fountains, courtyards & arbors. Inside a feeling of warmth and refinement allied to modern comforts: venetian chandeliers, stately marble & stone fireplaces, curved railing & Provencal kitchen. The sunken living room soothes of elegance with its historic flavor. Four priceless oil murals speak of shepherds and pastures transporting you into the 18th Century Europe. 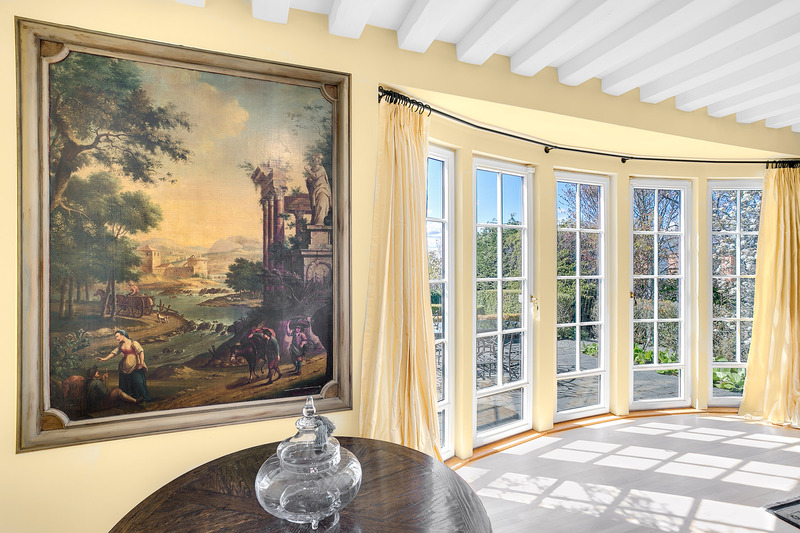 From every room, doorway and window, catch a glimpse of the incredible outside world and its natural beauty. 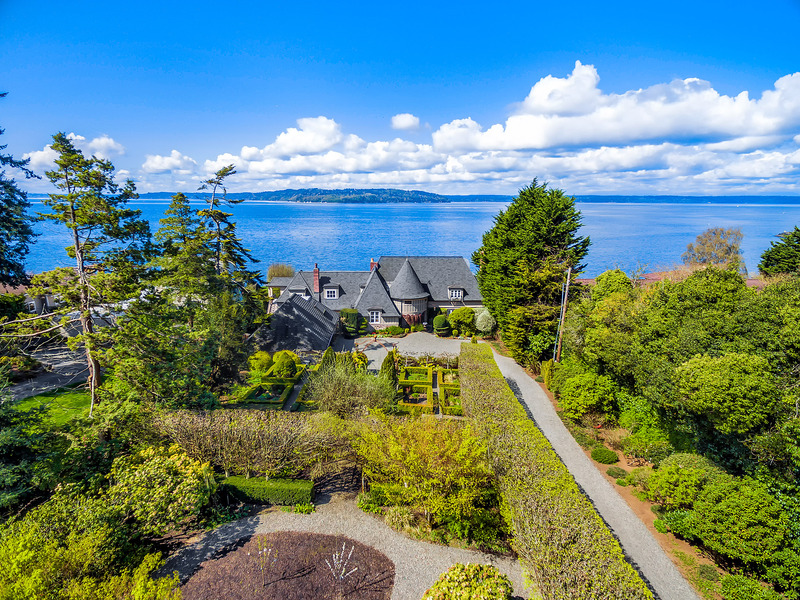 Come visit this spectacular estate that will take your breath away only a short distance from Downtown Seattle, WA. $2,650,000. Take a peak with this video. Visit the detailed listing & photo gallery.